The first of the patriarchs was CHARLES. He was born December 9, 1754, and reared near the home of his grandfather, "The Tailor", and he was 10 years old when the family moved onto the leased farm on the Great Road. His opportunities for securing an education were no better than his father's, and it is doubtful whether he ever saw even a copy of "Poor Richard's Almanac" or anything else that would tend to develop his mental faculties. He, like all the children of the neighborhood, "just' grew up," and probably all his life he would say, as so many have said, "I'm no scholar." There is no scrap of information concerning his youthful days, but as he advanced into his teens he entered upon exciting times. The colonists were enraged over British oppression. CHARLES was 11 years old when PATRICK HENRY made his famous speech before the Virginia Assembly in opposition to the Stamp Act, closing with the electric words, "CAESAR had his BRUTUS, CHARLES I his CROMWELL, and GEORGE II may profit by their example." These words were repeated at every fireside in the land and declaimed in every school. The boys were fired with the spirit of patriotism, and when the war broke out there was a prompt enlistment. CHARLES joined the army - he was no slacker. But his military record has been grossly exaggerated. I think that WILLIS SPENCER, one of his grandsons, was the offender. He wrote to my Uncle FRANK: "He has often told me that he was in the field ploughing, when a passing herald announced the battle of Lexington. He took his horse to the house instantly, took down his gun and went away to the army with no further preparation for clothing than what he had on. He often said that the shoes on his feet and the hat on his head were all he had during his seven years of toil. They wore out and no more were to be had." A story like that got into the records of the Daughters of the American Revolution. It is intensely heroic, but hardly true. Let us apply some "higher criticism: There were no Virginians at the battle of Bunker Hill. CHARLES was a Virginian. Ergo, CHARLES wasn't there. The surrender at Yorktown occurred October 19, 1781. CHARLES LANDER and CATHERINE FOREMAN were married March 1, 1781, and of course, he was not at the surrender. CHARLES gave his war record on oath when applying for a pension before the Bourbon Circuit Court, at Paris, Kentucky, August 14, 1832. The record is on file, and he was sworn to tell the truth on that occasion. We quote from the record: "He enlisted from Loudoun County, Virginia, in October, 1775, under Capt. CHARLES WEST, and served with the Third Regiment of the Virginia line. This enlistment was for six months only, and he mentions no battle. He was marched to Williamsburg and thence to Hampton, where his regiment wintered. He enlisted in the spring of 1776 for two years with the same company. In August of that year his regiment, commanded by Colonel WEIDEN, was marched to New York. There they were under General WASHINGTON. He was with WASHINGTON in his retreat through New Jersey until just before the battle of Princeton, when he was given a furlough on account of sickness and remained during the winter following with a relative in New Jersey. He rejoined his command in August, 1777, and continued with it until they went into winter quarters at Valley Forge. He was sergeant during these months. He speaks particularly of a hard battle at Brandywine. 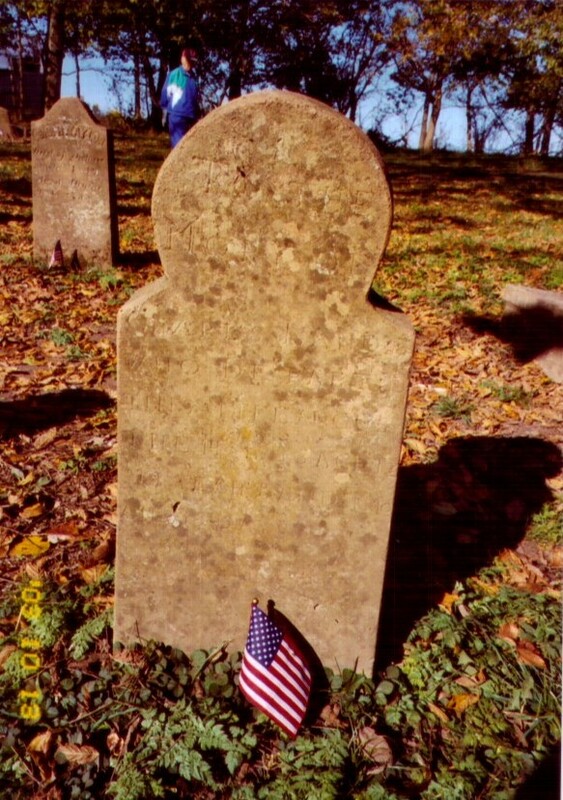 His second enlistment expired and he was discharged at Valley Forge in February, 1778." He did not re-enlist, but went to look for his father, who meanwhile had moved from the leased farm on the Great Road across the Blue Ridge Mountains into Hampshire County. There he met and married CATHERINE FOREMAN, as aforementioned, and started farming for himself. His war record simmered down to two years and a half. One winter he was down with smallpox in the home of a SKINNER relative, and the next winter at Valley Forge. CHARLES continued farming in Hampshire County for about fifteen years, during which time four of his children were born. He joined the exodus and moved to Bourbon County, Kentucky, and settled near North Middletown, which at the first was called Sweenytown. He assisted at the "raising" of the first house in the village. by a rudely carved stone. JOSEPH ALLEN LANDER was born on the "Cane Ridge Farm" in Bourbon County, Kentucky, February 25, 1812. He grew to be six feet, three inches tall and well proportioned. While still in his teens he fell into some bad habits and was considered a tough case, but he was happily converted and joined the old Donaldson Presbyterian Church about 1835. A great many folks got religion and joined the church in those days. Cholera was abroad in the land! He steadily grew in grace during the rest of his life. He was made an elder in the church at Flemingsburg. Later and until his death he was an elder in the church at Elizaville. Dr. SCUDDER, his pastor, wrote of him: "As a citizen few men in the community in which he lived enjoyed so universally its friendship and confidence. He had drawn around him a large circle of friends by his integrity, his genial disposition, his high Christian character and firmness of principle which would yield to nothing unmanly or wrong". My father owned a fine farm on Stoner Creek near Paris. About 1854 he sold that and bought a slightly place on the Maysville pike just north of Flemingsburg. He built a large house and a big fish pond between the house and the pike. One of my earliest recollections is of the drowning of an Irish laborer in that pond. He was in bathing one night with several others. I have never since heard the frogs croak as on that occasion. Shortly afterward my father sold that place and bought the BRUCE farm on Johnson Creek, two miles north of Elizaville. So as best as I can determine My gr gr grandparents, Joseph Allen and Catherine O. (Robnett), their children, my gr gr gr grandparents Moses and Marie Louise (Kenney) Robnett would be buried in this missing cemetery. I can only imagine that it is a large cemetery because there must be additional Robnett children buried there. Would anyone have any update as to the location of this cemetery? Is there anyone from the Bourbon County Historical Society that can assist in locating the cemetery? Unfortunately I don't know how to contact Mrs. Barde. Alice Hills contacted me and I am reporting to you what I have found concerning the Robinette family cemetery. I have enclosed copies of the deeds that pertain to the Robinette property. I had hoped that the weather would cooperate and I could have gone to the site of what might be the cemetery, but the weather goes from wet to rainy. I will go as soon as I can. As you can see, however, there is no mention of a cemetery or even a house on the deeds. I have enclosed a picture of the Robinette house from Historic Architecture of Bourbon County, Kentucky with the reference on the back. I thought you would like to see it. I have looked at the location referenced in the article as BB-468 and it has nothing to do with the Robinette family and is not on the Jackstown Road. I can't explain this discrepancy, and I have looked throughout the book and find nothing on the Jackstown road that is connected with the Robinette family either. That is frustrating. I wanted to explain to you about the confusion concerning the location of the Robinette family cemetery. When I talked to Mr. Amos Taylor, the current owner of the land and the house, who is 92, he volunteered the existence of the cemetery, but it could not have been located in the direction he indicated. That piece of land was never Robinette land (plot #6 on the attached sheet), and Mr. Taylor was mistaken. He did say he hadn't seen the cemetery in forty years, and certainly could have been mistaken. Everyone I talk to says that Mr. Taylor would be reliable in reporting that there was a cemetery. I have found some leads, and as I explained, will be looking for it as soon as the weather cooperates. There is reason to believe from what a neighbor reports, that the cemetery wall is gone, and the stones are on the ground and illegible. We will see and I will certainly keep you informed. It's snowing and sunny today. Kentucky weather is a challenge. I wish at least someone would go look at the Robnett cemetery site. It may be so overgrown that the headstones aren't visible or some may be buried. It could also be that the headstones are broken up & no longer look like headstones, but it might be possible to put them back together. I wish we could get someone in Bourbon Co. interested in this. The one person (Sarah Clough) that I knew there died several years ago. If she were living and active, she'd have gotten someone to go have a look. I think it is also significant that it is the "Robnett" cemetery. This would indicate that it is a very old cemetery. That was the spelling that the family was using when they 1st arrived in Bourbon Co. about 1787/88. My gggg grandfather Joseph signed his name "Joseph Robnet" on the little slip of paper giving permission for his daughter Mary to marry my ggg grandfather John Howard. this was in 1797. He is named as Joseph "Robnett" on other documents in Bourbon Co. before his death in 1807. 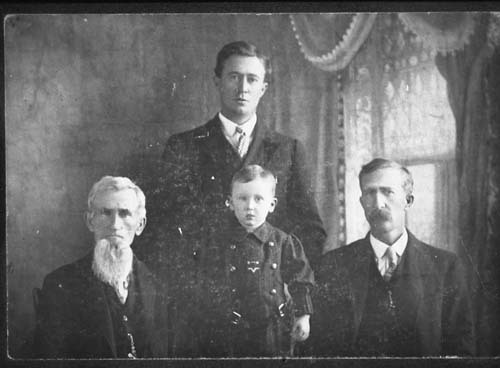 They family continued to use "Robnett" after sons Richard & Joseph, Jr. moved to Pope Co. & Gallatin Co., IL in 1818. One branch from Richard never changed to "Robinett." Pope Co. & Gallatin Co., IL are my home areas - I was born in Hardin Co., IL. Hardin was formed from Pope & Gallatin in 1839.